I used to think that people who stretched as part of their exercise routine were total babies. At the time, I could push my body to crazy lengths and never feel a thing the next day except mild soreness. Fast forward several years, and I’m no longer that brazen ignoramus. I’ve always been a hard-core exercise fanatic, but lately, I stretch with equal zeal and fervor. If I don’t, my body punishes me. And no matter what I do, that darned crick in my neck just won’t go away. In short, I am old and time is passing. Thank heaven there’s cake. Pound cake, to be exact. With lots and lots of pumpkin. 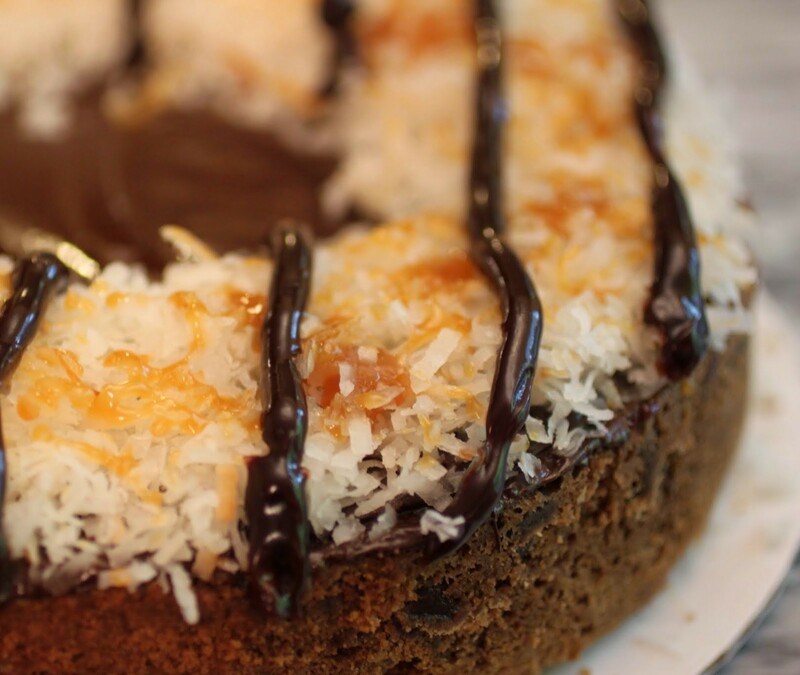 This cake is velvety in texture. There’s just no better way to describe its smoothness. It almost melts the second you shove a giant forkful in your mouth. I don’t know about you, but I like my cake that way. Most pumpkin recipes are healthier. Not this one. Not by a longshot! But it’s perfect for those occasions when you want to try a bit harder to be decadent. 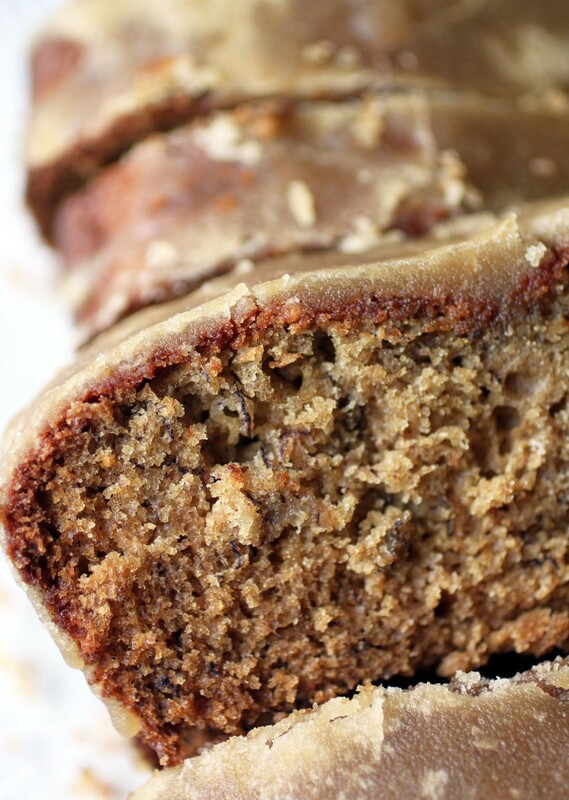 If you really want to go crazy, bake this in round pans and frost it. Now that would be insane. I’m afraid that another stretch session beckons. Sitting at the computer sure doesn’t help those sore muscles either! But in between a really good hip stretch and a super wonderful quad stretch, make room for cake! Preheat oven to 350. Spray a bundt pan with cooking spray and dust lightly with flour. Set aside. In the bowl of a stand mixer, cream butter and sugar until light and fluffy. Beat in the eggs one at a time. Stir in vanilla, pumpkin and vegetable oil. Beat in the flour mixture alternately with the milk. Pour the batter into the bundt pan. Bake for 50-60 minutes until golden and a toothpick inserted into the center of the cake comes out clean. Cool the cake almost completely, and then invert onto a plate. Cut into slices and serve. No, you didn’t read that wrong. I realize it’s not that time of year. You know, the magical days when little girls (or more likely, their parents) start collecting cookie orders for Girl Scouts. Nope, if it were that time of year, the weather would be getting warmer instead of colder and I’d be a lot happier. So what do you do when your buddy has a birthday in September and her favorite cookies are Samoas? And there are no Samoas to be had? Well, make one, of course. A giant one. In a cookie cake! I’m the same way as you, Mir! I never used to think that I needed to stretch before exercising, and never did! But now I definitely have to! 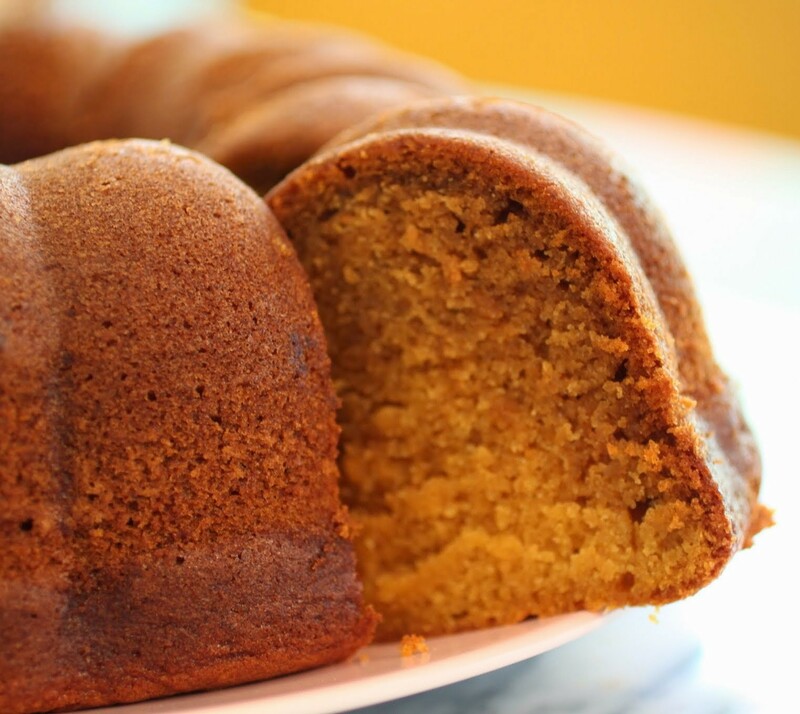 This pound cake looks incredible! I love the smooth and moist texture and how full of flavor it is. Definitely makes you forget about stretching, right? 🙂 Pinned! Yep, I love stretching now! It hurts, but in a good way. But I do love cake more, Gayle. Thanks for the pin! I hear ya about not being able to push your body as much as you used to, I’m the same I used to be able to do anything now I totally feel it if I over-do it 😉 anyways on to the good stuff… I’m drooling over how dense and moist the center of this pound cake looks! It looks like it would just literally melt in your mouth love it! Yep, getting older is hard. And the hardest part is yet to come. That’s why I distract myself with cake, Michele! It’s a humble reminder that we aren’t immortal, Mira! Good luck with your bundt! what a beautiful and moist cake Mir! Pinning! Thanks, Manali! Loved the texture on this one. You know, I have never had pound cake before. It looks so moist and delicious though. I am a fan of all kinds of cake though, so I am sure that I would love this too. You do need to try pound cake sometime, Dannii! It’s very rich. Haha, I’ve been thinking that lately too, that suddenly I have a lot more trouble with aches and pains then I used to – getting old is no good! 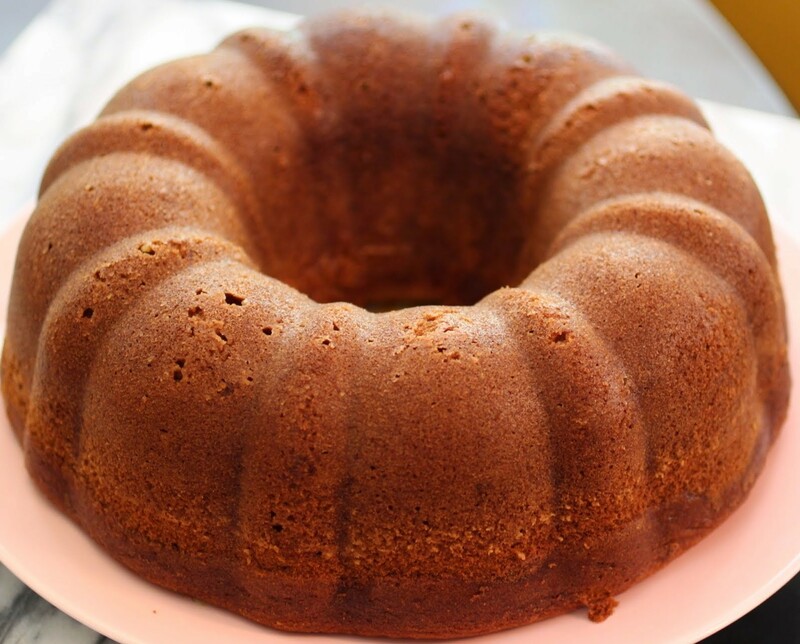 This pound cake looks lovely! Thanks, Stacey! Aches and pains are no fun, but cake is! Thanks, Ashley! Stretching is actually fun. Who knew? That happened to my husband! The batting cage killed his hands, too. He was annoyed. I’m so glad you love pound cake! It’s one of my favorites, too! 1) Uhhhhmazing photos. Some of the best I’ve ever seen. 1) What? Mary Frances, you are way too kind. Though I have been playing with a new lens. 2) I do that with slices of things all the time! Why are we kidding ourselves? Of course we want the whole thing! If you’re old, I can’t imagine what I’d be called… Antique? I’m loving this pound cake, Mir! To describe it as velvety really makes me want a slice or two. I love how you didn’t coat it in glaze because I’m sure the pumpkin flavor really shines through. Thank you for the recipe! It’s so funny you mention that because I almost did a maple glaze for the top, but then I decided to keep things simple for once in my life! The perfect way to stretch the quads, Carmen! 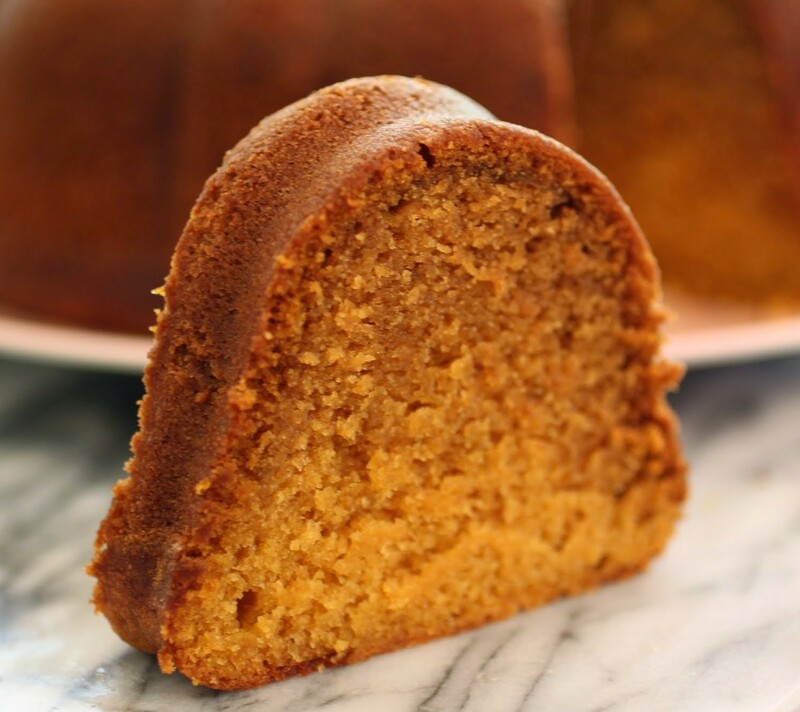 Two of my favorites, pumpkin and pound cake! What a winning combo! Annie @Maebells recently posted…Seasoned Black Beans + Loaded Tex Mex Bowls and a Kitchen Aid Mixer Giveaway! Thanks, Annie! I have a thing for that combo too! omg, the body is totally just not the same. Gotta stretch. 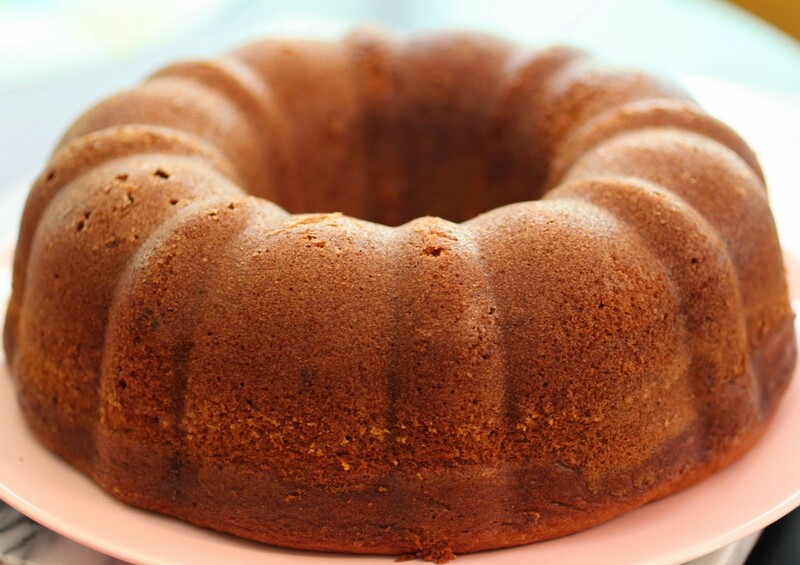 This Pound cake looks delicious! It looks so moist and velvety! Thanks, Lindsay! Yours looked pretty darn delicious this morning! I hear ya. I balance the stretching and the cake, Jocelyn! 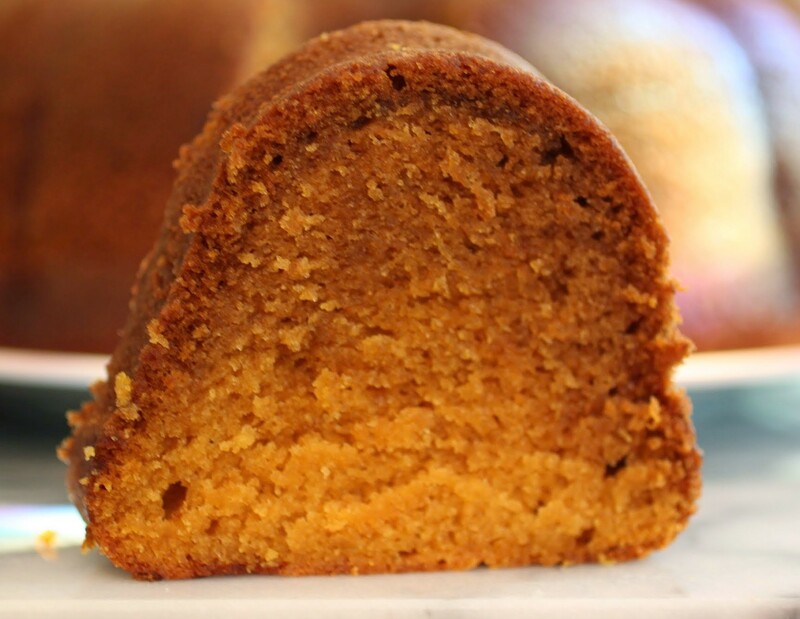 You are totally speaking my language with this pumpkin poundcake! 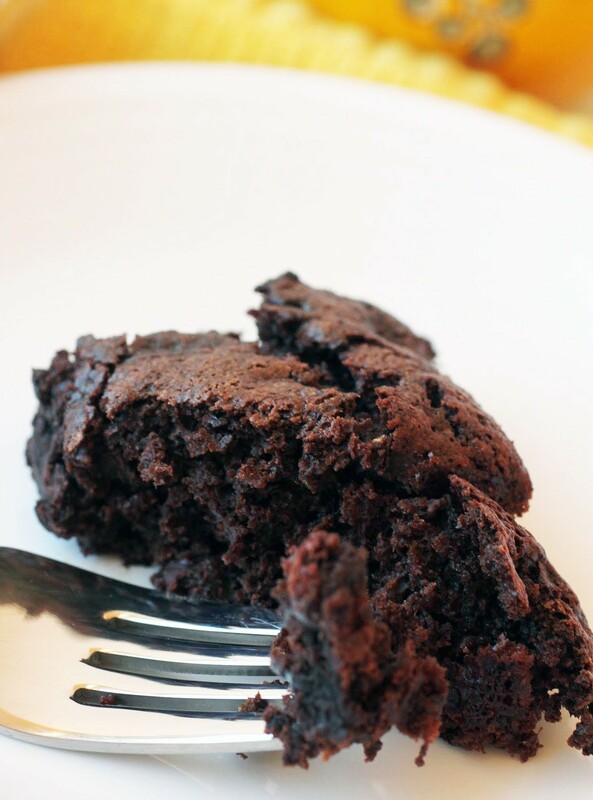 It looks amazing and so moist! I used to not stretch much either, but now that I’m getting a little older I realize how important it is or else I’m walking around stiff all the time! Maybe I need to go for some exercising so that I can eat this entire poundcake! Yep. I exercise and eat lots of sugar! It all balances somehow…I think! Love the shade of this cake, it looks great. Thanks for linking up to Sweet and Savoury Sunday, stop by and link up again. Have a great day!! This cake looks delish!!! Last year I ventured into making cakes in a jar for my co-workers Christmas gifts. Thank God they were a hit and now they want more. My specialty is carrot cake but a want to expand and absolutely love pumpkin!! This recipes seems absolutely perfect but I’d have to make some substitutions for health reasons. The white flours and sugars would be brown and what do you think of soy milk? And yep they’d be baked in mason jars…any suggestions? Please if you don’t mind respond via email. Thanks and Happy Holidays to you and yours. Same to you, Kisha! I’ll email you, but basically, those substitutions should work. Just lower the baking time with the mason jars. Keep an eye on it!